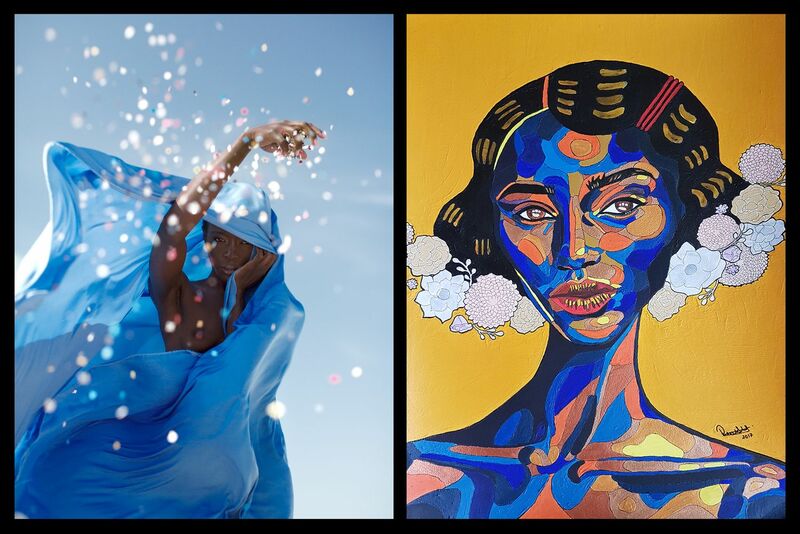 Left: Dagmar Van Weeghel | Mombasa Blues, Uluru, 2016. Right: REWA | Eziamaka, 2017. ​Talk by the artist REWA and the photographer Dagmar Van Weeghel.